Dr Diran Fawibe, the Chief Executive Officer, International Energy Services (IES) has said that crude oil drilling in the north is necessary, saying it will will boost Nigeria’s reserves. Fawibe said this in an interview with Daily Trust where he also shared his view on modular refineries Petroleum Industry Bill (PIB) and other knotty issues in the nation’s oil and gas sector. Asked for his thought on the drilling that has been going on for years in the north, he said the federal government is searching for oil in some parts of the north to ensure that every part of the country that has potential for hydrocarbon is explored. Fawibe added that other countries are also engaging in similar activities. "When you remember countries like Ghana, Uganda, Mozambique, Kenya, these are countries that about 20 years ago, you would never believe they could produce a single barrel of oil. Even though today we might say that the efforts to explore, drill and get oil in the North has proved unsuccessful so far, we can never write off these initiatives and efforts, because there is one element that is not constant in the world of petroleum development, and that is improved technology to explore for oil," he said. "In some countries, you may achieve success within a short time, while in some other places it may take years before you strike gold. The fact that we have discovered oil very quickly in the Niger Delta does not mean that other parts of the country may not be harbouring serious deposits of hydrocarbon. I think that was what informed the persistent interest in the north." Meanwhile, Legit.ng previously reported that President Muhammadu Buhari on Saturday, February 2, in Bauchi state, instructed the Nigerian National Petroleum Corporation (NNPC) to in the country. 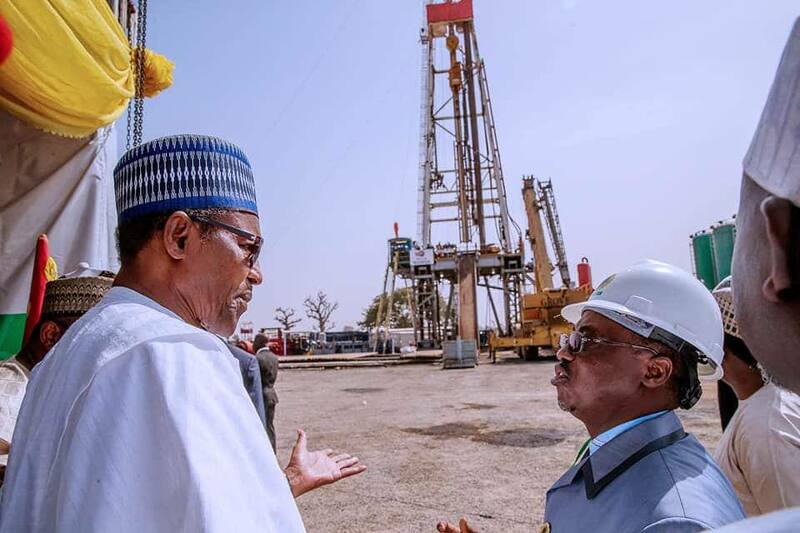 The president gave the instruction at the Barambu town in Alkaleri local government area of the state while flagging off the drilling activities. Buhari asked that the activities be extended to the Chad, Gongola, Anambra, Sokoto , Dahomey, Bida basins and Benue trough. He emphasised that exploration in the frontier basins remains important to the economy of the country.